Luckily, this one is very much a myth! It is not statically correct as no one knows the exact number and location of rats in the UK. However, there’s no denying that UK cities have a huge rat population. London councils and pest control firms received over 186,000 complaints relating to rodents in London from 2012 to 2017. That’s more than 100 complaints per day! Scarily, an average female rat can give birth to up to 50 rats every year, which makes estimating the number of rats in cities and the rest of the UK – impossible. Although there are a range of large exotic rat species (present and extinct), the type of rats that live in our streets and sewers are incapable of growing to the size of a small dog, thankfully! Dougie Clark, a professor at Huddersfield University who studied over a hundred brown rats in the UK, confirms that “There is absolutely no evidence that brown rats found in the UK are growing bigger”. We are all safe from giant rats – for now at least! This might sound scary, but – in fact – it’s true. 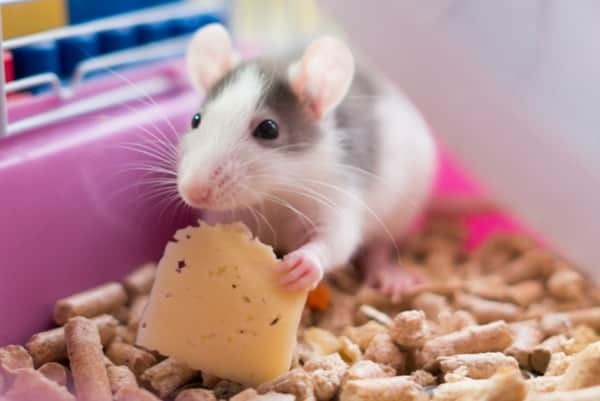 The University of Reading found that many rats are resistant to poison, thanks to a genetic mutation dubbed L120Q. The most common explanation for the mutation is from DIY individuals or unqualified exterminators using shop bought poisons that aren’t effective or reliable in killing the rat. Allowing their DNA to mutate and eventually become immune. Similar to how a vaccine works. Dee Ward-Thompson, the technical manager at the British Pest Control Association, said: “Rats without the genetic mutation are being killed off by poison, so the resistant species are taking their place, leaving a growing population of resistant pure-breds”. With this in mind, it is more important than ever to prevent rats from entering your drains and property. Although the cute rat in the image above doesn’t look like much of a threat– the small rodents can present a multitude of problems. Including blocking drains, creating structural issues and adding further pipe damage. We have even dealt with cases where rats have accessed an interior attic space through soil pipes. There are a number of ways you can help minimise the desirability of your drains and pipes for rats. Firstly, use a sink strainer to reduce any food waste (including sauces and FOGs, fat, oil and greases) going down the drain. Additionally, don’t flush wipes and non-dissolvent items. Rats use debris such as wipes and sanitary towels to create nests in drains and manhole chambers. 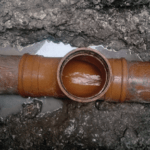 On top of this, ensure that your drains and pipes are all in good condition, as the most common ways rats get into drains is through damaged or poorly installed pipework. If you’re looking for a more reliable solution – UKDN offers non-return valves that can act as a rat blocker for drains. They can conveniently be fitted into your current pipework from either below or above ground. These valves minimise the chance of rats entering your draining system as the cap only moves with the exiting waste. We also offer CCTV drain surveys to identify damaged pipework and locate areas that can be easily infiltrated by a rat. If you think you might already have rats in your drains, you’ll probably want to act fast. Through our CCTV drainage surveys we can investigate how the rats are getting into your drain and accessing your property. We are then able to stop them entering the system through drainage repairs. Now that you are well and truly clued up on busted rat myths – we hope that we have provided you the right knowledge and resources to prevent rats from ever calling your drains ‘home’. 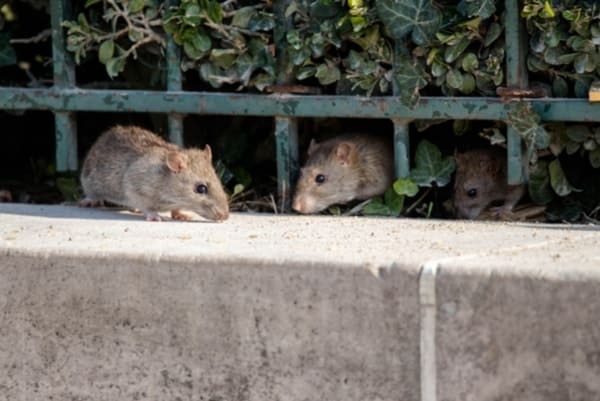 If you discover a rat infestation either on your property or nearby, you can report it to your council as they can offer pest control services. You can find your council’s website here. You can also visit the British Pest Control association website to find out more on how to appropriately get rid of pests. It’s not just rats that we find in drains! Check out our blog post animals found in drains and sewers around the world and see if you can guess what other creatures lurk beneath the streets.